This month our Coconut Candles are on SALE! (Click HERE to check it out!). Aside from being absolutely stunning and smelling superbly divine, the most amazing thing about these candles are that they are made with 100% real, authentic coconut shells, sourced locally in Jamaica. That may not seem to be a big deal, but it IS. Here’s why…. 1. It’s a way of doing business that’s better for the PLANET. It’s difficult to get away from the standard production practices that depend on manufacturing plastic and metals, which is typically laden with processes that add to pollution. By recycling natural materials such as coconut shells, we are able to decrease our dependency on heavy manufacturing and nonbiodegradable materials. Ultimately, our Coconut Candles represent a move towards decreasing our company’s environmental footprint. 2. We support our LOCAL economy. These coconut shells are sourced from local tradesmen. By buying coconut shells, we are adding to the livelihoods of their families and communities. Using real coconut shells from Jamaica to make our Coconut Candles helps us bring a genuine island spirit to our customers all over the world. 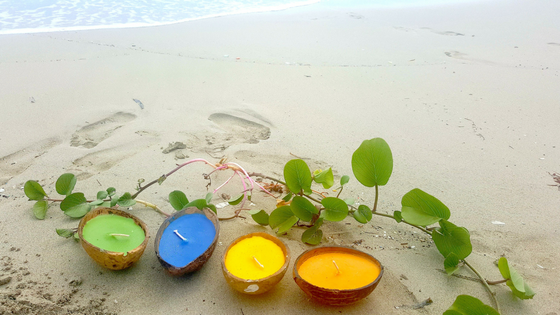 We believe that using authentic raw materials transmits the energy of Jamaica, not matter where the candle may be. 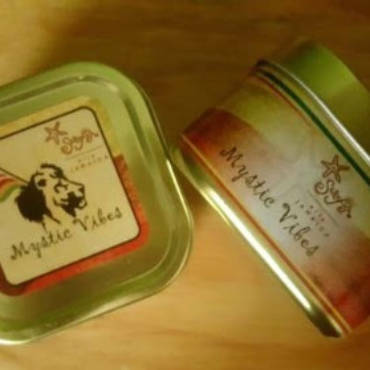 Check out our Coconut Candles HERE!